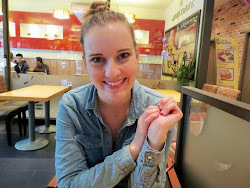 Before we moved to Korea, we ate authentic Mexican food at least once a week. It might have been a tad unhealthy, but it was delicious. We've been living in Korea for about eight months at this point. We've had homemade Mexican food and ate at one Mexican restaurant in Busan last August or September (can't remember which month). 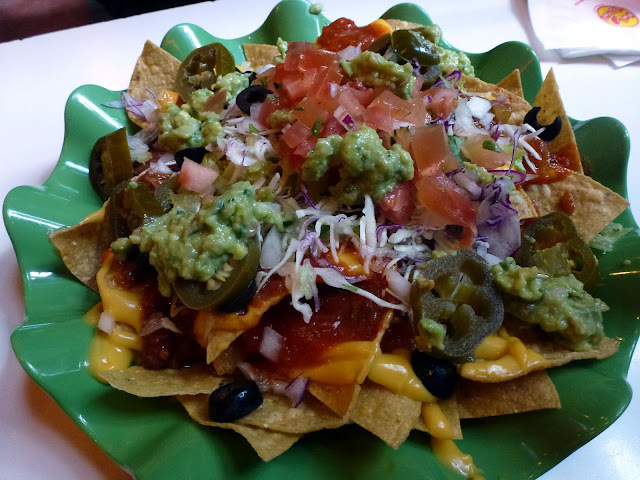 Before our most recent trip to Seoul, I was really craving some tacos, nachos, and basically anything spicy and crunchy with Mexican flavor. I did some online searching and found a place in Gangnam. The directions were from a blog I'd never heard of before so I was a little skeptical about them. When I told my sister-in-law, Katie (who lives in Seoul) about them she informed me that all the subway exits at that stop changed numbers in November 2011. So the directions were even more sketchy. Great. We were on a mission and even though we knew it would take a while, we decided just to try different exits and see if we could find it. Gangnam subway stop has a LOT of exits. After walking around for close to 45 minutes we found a different Mexican food place and decided just to eat there. 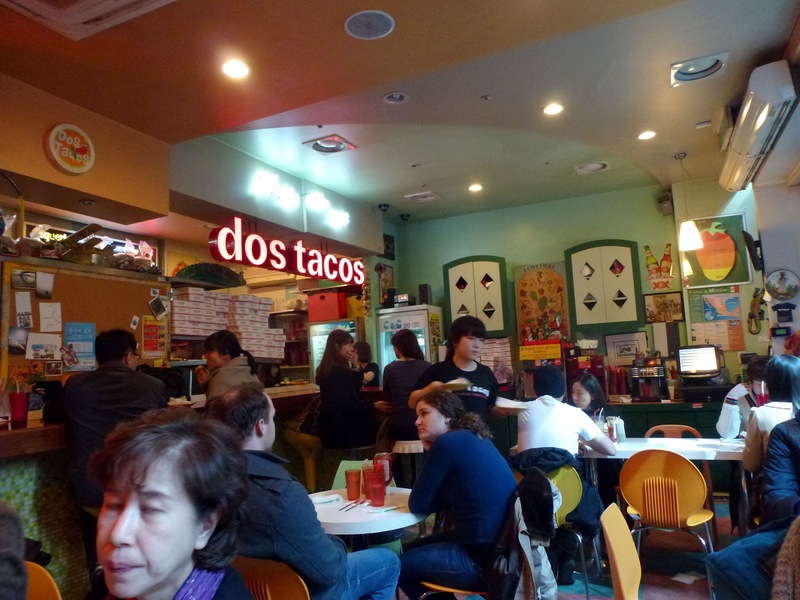 The place we found is called Dos Tacos. The restaurant is pretty small and it was packed full of people when we got there. We had to wait about 5-10 minutes before getting a table in the corner. The place is full of western posters and signs in Spanish and English. There's a map of Mexico, the skyline of Los Angeles, and Mexican beer signs, to name a few. Above the "dos tacos" sign, it says, "feel the salsa beat." We ordered nachos, a taco, a quesadilla, and a burrito between the three of us. I'm not going to lie, after not eating Mexican food for so long, it was pretty good but it was nothing compared to the quality we can get back home. It was good in a pinch. The absolute best part was the guacamole. The guac was actually really good! Ask for extra guac if you go. Not great directions, but how to get there: Take the Seoul subway to Gangnam station and use exit 10. Walk straight out for about 15 minutes. There will be little alleys on your left. Look down them until you see the Dos Tacos sign. look at those tiny kegs! where there's a will, there's a via! good job, kids! the cheese looks a little rubbery, but the guac looks spot on. ps - those are the sketchiest directions i've ever seen! You are absolutely right on all accounts. Korea isn't known for it's quality cheese. It's quite sad, really. However, the guac was delish! I was surprised at how amazing it tasted. The directions are definitely terrible! hahaha I forgot to write them down while we were actually there so those are just from memory. I'll do better next time...if I'm not in another food coma! Nice! 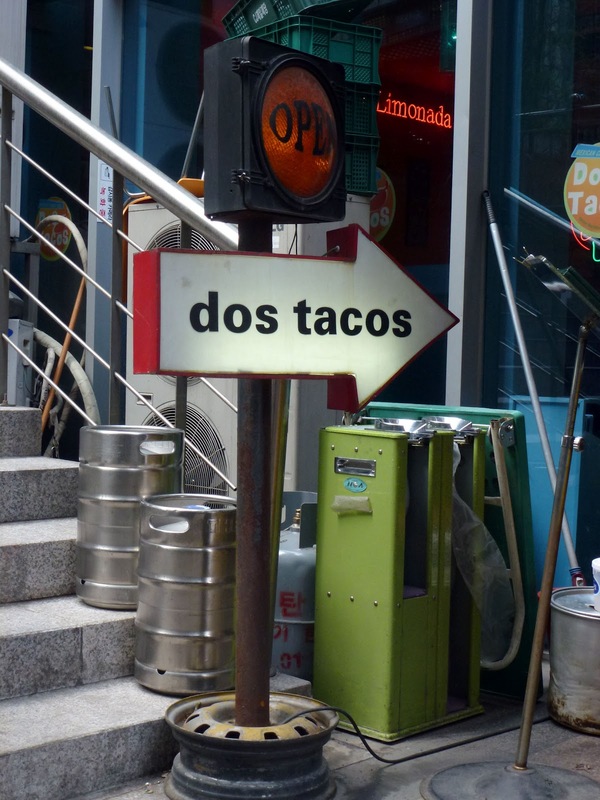 :) I've also heard of one called Taco Rico in Gangnam. It amazes me that there are three Mexican restaurants just in Gangnam! Oh, what I would give to have one in Suncheon.